So this song got stuck in my head. The only way to make the song stop cycling through my brain was to make one for my very own. 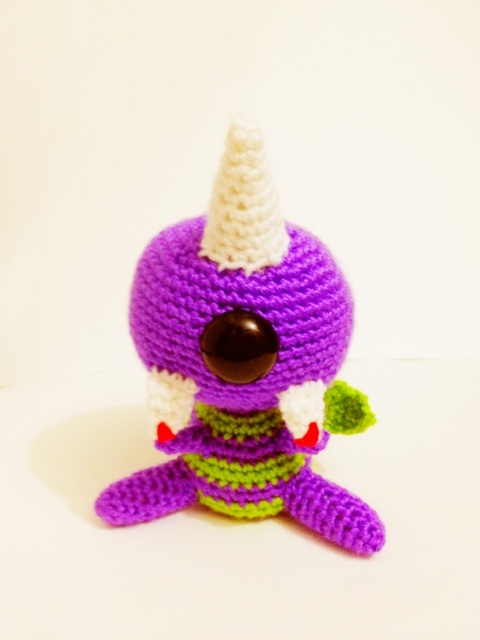 He’s a very cute, little, one-eyed, one-horned, flying, purple, people eater. He just ate so he should be harmless for a little bit.